Marble comes in a wide array of colors including pink, yellow, blue, gray, and even black; the impurities don’t make marble unattractive, they make it more beautiful. Today, marble is quarried from all over the world including Greece, Ireland, the U.K., throughout the United States, Russia, Romania and Sweden, but the top producers of true marble include Italy, China, India and Spain. 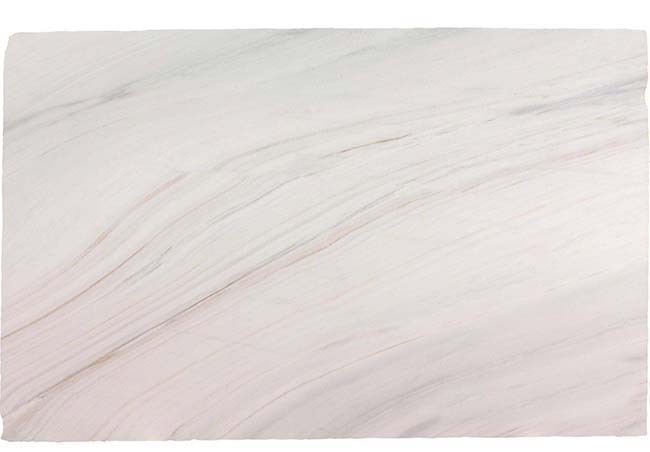 Marble can be quarried in a parallel or perpendicular direction to the bedding plane. 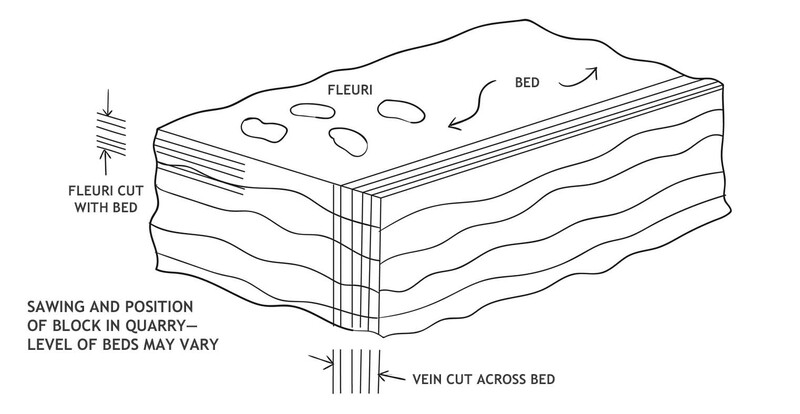 A perpendicular cut is referred to as a “vein cut” or an “across the bed” cut. The parallel cut is referred to as a “cross cut” or a “with the bed” cut. Vein cut slabs show the veins of the stone running lengthwise, or vertically, while the cross cut slab shows the cross section of the veins, typically creating a far more dramatic pattern. Every quarry produces marble with different characteristics, colors, and veining, and no 2 slabs, even from the same quarry, will be identical. As referenced above, just a change in angle for the cutting can result in dramatic differences of the finished result. 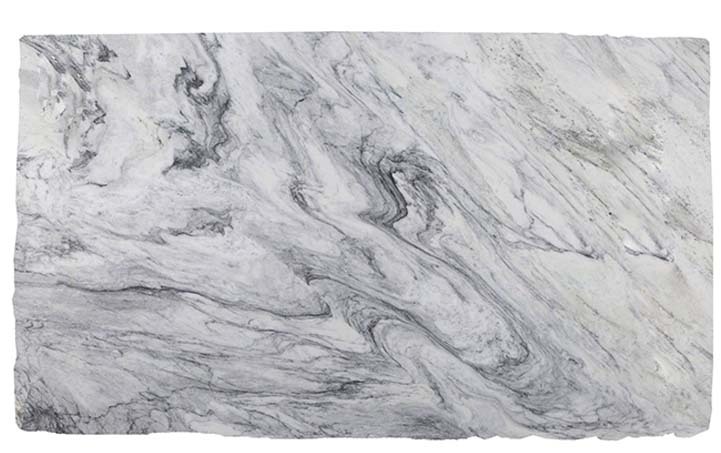 This natural beauty and is what makes marble one of the most sought after natural stones in the world.